Sycamore High School in Sycamore, Illinois is a public high school serving a community of approximately 17,000 people and 1,200+ students. Surrounded by a supportive community, Superintendent Kathy Countryman knew their single-function, metal-box scoreboard needed an upgrade. Faced with the project of replacing their old single-function scoreboard, Principal Tim Carlson emphasized the need for a multi-faceted solution. “We were looking for a product that was more than just a scoreboard,” explained Carlson. The new system needed to be capable of many alternative uses outside of athletic events, including providing a platform for the school’s broadcasting program, SpartanTV. 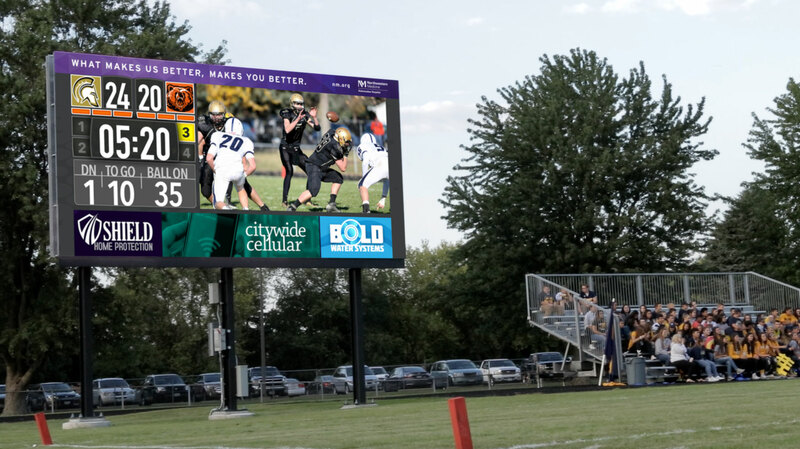 When Sycamore’s Booster Club began looking into new scoreboard options, they came across ScoreVision’s LED jumbotron displays and knew it would be the solution to everything from their technical issues to their non-athletic needs. Only one thing stood in their way: financing the new system. David Coovert, Sycamore Sports Booster Club member, estimates that their ScoreVision system will be completely covered by sponsorships from local businesses within just three years. Then, “roughly $90,000 per year in advertising revenue will go toward other projects needed for Spartan athletics,” according to Sycamore’s local newspaper, the Daily Chronicle. Now that the new LED jumbotron displays are installed, Sycamore High School and their community have wasted no time putting the system to use. “The potential is unlimited. Now it’s really just our imagination that’s going to stop us in terms of how we can use the product to educate our kids, entertain our fans, and bring revenue to our school district,” explains Carlson. 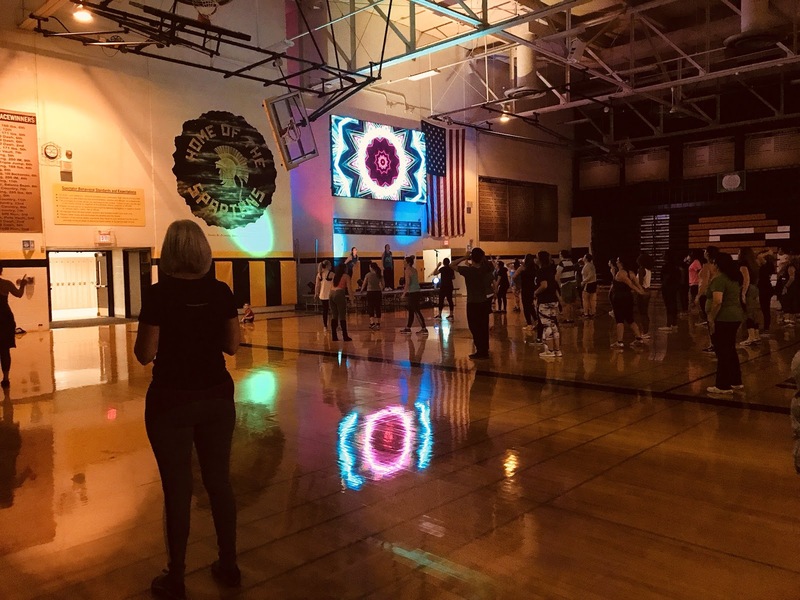 Besides athletic events, movie nights, and SpartanTV, Sycamore has also found some unique uses for their LED jumbotron display, like holding a charity Zumba event. The team at Sycamore High School enjoyed working with the ScoreVision staff as well. Hear more about Sycamore High School's story in the video below! We’re happy to welcome Sycamore High School to the ScoreVision family and we love seeing them utilizing their new LED jumbotron displays to their fullest potential! Learn more about ScoreVision's self-funding capabilities here or watch why another high school switched to ScoreVision here. Follow us on Twitter and Facebook to be the first to know when new content is released. If you are interested in learning more about how a ScoreVision LED jumbotron display and software system can benefit your school, contact us today!